FRUTAS MINGUET, S.L bears the quality stamp of GLOBAL G.A.P, which is one of the most widely accepted food certificates in the private sector. Oranges, avocados, watermelons and melons reach their destination preserving all their quality, properties and flavours in the best condition. 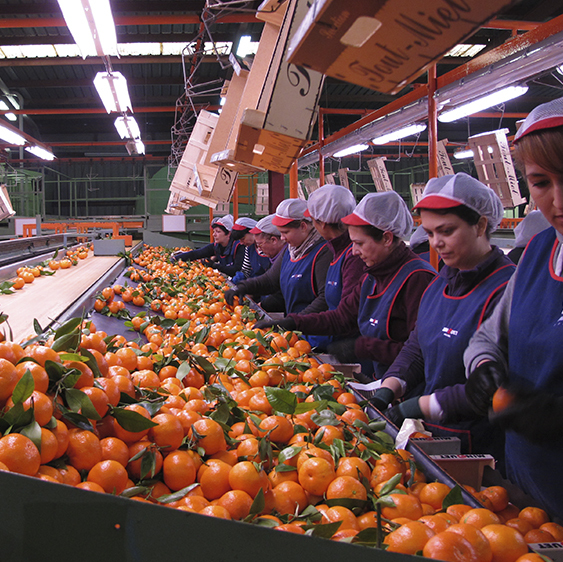 With the aim to fulfil our goal of quality , our quality department performs exhaustive controls which start in the fields and continue throughout the production chain until reaching transport, where factors such as temperatures or humidity levels required for our fruit and vegetables during transport is taken into account. Each and every one of the processes performed on our produce is important. For this reason great care is taken. Our produce is subjected to close monitoring to ensure their optimum quality as well as complying with all the relevant legal requirements concerning loading and distribution controls and packaging. New techniques and working methods are still being researched to provide our customers and consumers with the best possible experience when dealing with both our company and the quality of our fruit and vegetables.